Even though it is not possible to trace the number back to the caller, it is possible to trace it to the location of the caller and also find the network operator. Just have a look at this page on tracing Indian mobile numbers from Wikipedia. 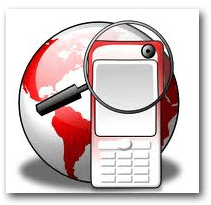 Using the information provided on this page, it is possible to certainly trace any mobile number from India and find out the location (state/city) and network operator (mobile operator) of the caller. This is a nice little secret when you get phone calls that aren't saved in your phone. However, I can tell where they're calling from based on the area code. Is there another site that will show who the caller is? Well if you are a smartphone user, you can install an app called TrueCaller. This app will help you out in the best way possible.